A new bill in Congress would amend federal tax code to make renewable energy, energy efficiency and zero-emission vehicle projects eligible for state tax-exempt bonds. State tax-exempt bonds are currently limited to projects like hospitals, schools, mass transit, affordable housing, recycling programs and water conservation. HR 3525 would open the financing for solar, wind, geothermal, hydro-power, hydro-kinetic, landfill gas, biomass, water conservation and zero-emission vehicle projects. Consider asking the board of superintendent if the allocation will be used for renewable energy projects. By installing renewable energy projects with a soon-to-be-announced low-interest loan program from the California Energy Commission, these projects can pay for themselves from the energy savings and could even put a little extra money back into the general fund. Learn more . Even with the financial difficulties that Contra Costa County has been facing, the City of Antioch continues to make environmental strides. They completed their community-wide GHG inventory, completed a municipal operations GHG inventory, and are continuing their efforts with a Climate Action Plan (CAP). Find more information at the cities climate action pages . Sonoma County has developed a plan for greenhouse gas emission reduction in an attempt to meet the county’s goal of 25% below 1990 levels by 2015. The Plan has the potential to reinvigorate the local economy, produce hundreds of new jobs and incubate new businesses. Learn more by visiting their website . The CA Air Resources Board (ARB) fined the city of Fresno $49,500 for diesel emissions violations. ARB investigators found that the city had not been testing, measuring, recording and maintaining the records of their on-road vehicle fleet’s diesel smoke emissions. Failure to inspect diesel vehicles can lead to an increase in harmful airborne particles that Californians breath. The settlement remedies the violations and also reduces the emissions ahead of the ARB regulatory timeline. See the news release . The officials are basing preliminary calculations on a 10% carbon reduction by 2020-identical to CA’s low-carbon fuel standard. The reductions are controversial because more than 1 million homes in the area are heated with oil. If the heating emissions are not reduced, they could prevent the states from being able to meet their existing global warming goals. A blueprint for slashing carbon dioxide emissions is expected before January. The 150th participant in the EPA New England’s Community Energy Challenge program was recently accepted. Municipalities that join the Challenge pledge to reduce energy consumption in their municipal facilities by at least 10%. Collectively, the Challenge participants represent more than 30% of New England’s population and reflect the trend of growing national interest in greening local governments. Read more . When a county wasn’t able to change energy efficiency legislation, they went into the real estate development business. The county of Egedal, Denmark decided to require a home development to be built energy frugal. When lived in, these homes will save 630 tons of CO2 and 3.6 million kWh/year (as compared to a conventional neighborhood of its size). These homes are required to be reasonably priced even though they contain the most up to date technology. Many E.U. Countries are moving towards zero net carbon emission homes despite developers’ complaints of the cost increases to build such homes. The UK mandates that all new homes be zero-carbon by 2016. Denmark will require all homes to meet the “passive house” standard by 2020, meaning that they use 85% less energy and produce 95% less carbon dioxide than regular houses. Officials from the Clinton Foundation have signed an agreement with India to build a solar park near the Pakistan border. The plan is part of India’s recently announced large-scale investment in solar power. 3,707 acres of land have been allocated for this project alone. The government plans to spend $18.3 billion on the project and will encourage 20,000 families to switch to solar electricity by 2020. Officials say that the land availability, plentiful sunlight and sparse rainfall make the area ideal for solar power generation. See the article . Due to the CA Global Warming Solutions Act of 2006 (AB 32), the Air Resources Board has proposed a regulatory program for reducing high-global warming potential refrigeration equipment from stationary, non-residential refrigeration. They have posted updated documents specific to the proposed program which focuses on leak repair, reporting, improved refrigerant recovery rates, and other approaches. See an here ..
A climate bill passed by the House in June would allocate more than $500 million a year to natural resources adaptation under a proposed carbon-trading program. As climate change affects these areas more, droughts, warmer temperatures, and loss of habitat will harm wildlife to a greater extent. Our National Park Service currently has no national plan to manage the patchwork of lands owned by different agencies, tribes, municipalities and private land owners. The Senate is currently drafting a companion bill, but particulars are currently unknown. Senators were shown dying Rocky Mountain pine trees infected by beetles which have spread because of rising temperatures. They heard that Glacier National Park is losing its glaciers and that low-lying coastal parkland is in danger of going underwater. Both senators Udall and McCain agreed that confronting climate change is paramount, real, and happening right now. It is not a crisis to be dealt with down the road. When the Senate resumes next month, members will consider a bill that would set limits for greenhouse gases blamed for global warming. The bill narrowly passed the House in June. See the article . The petition is designed to encourage leaders to seal a fair, balanced and effective agreement on climate change. The Climate Petition is a consolidation of appeals supported by the UN Seal the Deal! campaign, the Global Coalition on Climate Action and others. The petition will be presented to the governments of the world in Copenhagen. Sign the petition . The UN Secretary-General is leading the call for communities around the world to take advantage of Global Climate Week from September 21-25 to encourage leaders to seal a fair, balanced and effective agreement on climate change, to create press and promote awareness. See the article . July 2009 was officially the coldest July on record in six U.S. States, according to the National Climatic Data Center. While the US was cool, however, for the world as a whole, July was the 2nd warmest ever recorded. Both the Southern hemisphere and Antarctica had their 2nd-warmest month ever recorded (compared to seasonal norms). See the article . Farmland acreage pulls carbon out of the air regularly according to a Purdue University study completed earlier in the decade. Grazing land, orchards, vineyards, rice fields, cotton fields and more are all assistants in the carbon reduction process. The green leaves and blades of grass regularly absorb 1.754 million tons of carbon from the atmosphere each year. Also, by keeping lands from being urbanized, many carbon emissions are avoided altogether. The Williamson Act money of 2007 allots subsidies to farmers which allow them to keep their lands undeveloped and help with our carbon reduction plans. See an opinion article on the Act. Recent war games and intelligence studies conclude that over the next 20 to 30 years, vulnerable regions, particularly sub-Saharan Africa, the Middle East and South and Southeast Asia, will face the prospect of food shortages, water crises and catastrophic flooding driven by climate change that could demand an American humanitarian relief or military response. Other fears include mass migration, pandemics, terrorist movements and other climate-induced crises that might topple governments and destabilize entire regions. Analysts, experts at the Pentagon and intelligence agencies are, for the first time, taking a serious look at the national security implications of climate change. See the article . Explore some of the ecological impacts of climate change that have already been observed—right in your own backyard. This booklet is based on Ecological Impacts of Climate Change (2009), a report by an independent panel of experts convened by the National Research Council. It explains general themes about the ecological consequences of climate change and identifies examples of ecological changes across the United States. Download a PDF or explore online . PG&E is currently offering incentive programs for streetlights to be converted to LED through their LED Streetlight Program which includes reduced pricing and product rebates. Join in the program by converting your city’s streetlights to LED or use the LED Street Light Turnkey Replacement Service where PG&E helps with project design, installation and billing updates for your city! Learn more about these programs . September 24th, Orinda. For our next workshop, Contra Costa County Climate Leaders Program will partner with PMC, ICLEI and others to bring you up to date on the next batch of Energy Efficiency and Conservation Block Grants (EECBG), the State Energy Program (SEP) and other funding opportunities which have application deadlines in the next few months. A new planning tool will be introduced; we’ll discuss regional coordination opportunities, view case studies and have lots of networking opportunities. Please RSVP to info@cccclimateleaders.org or call (925) 631-0597. September 30th, Walnut Creek. Sustainable Contra Costa Awards is a fundraiser to honor businesses, government programs, community groups, non-profits, and individuals who have demonstrated an outstanding commitment to sustainable practices. SCOCO fills a significant need by providing a point of connection and education for the residents, businesses and governments across the sprawling and diverse community of CCC. 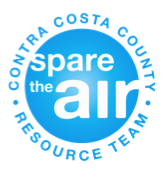 Your donation will help develop the Contra Costa Sustainability Hub web tool – providing the trusted solutions and local resources needed for creating a more sustainable region. More information and RSVP information can be found online . September 29th-October 1st, Oakland. The State of the San Francisco Estuary Conference provides a biennial assessment of the ecological health of the San Francisco Bay-Delta Estuary. National and regional experts will present the latest information about the estuary’s changing watersheds, impacts from major stressors, recovery programs for species and habitats, and emerging issues. See website for complete conference details. October 1st-3rd, San Francisco. Experience a feast of innovations, ideas and opportunities designed to expand your business, widen your vision, and stimulate your thinking with the latest best practices and key players in building, businesses and design. The latest emerging products to reduce global warming will be included-solar, wind and waste reduction!Learn more here. Applications for the EPA’s “Partner of the Year” awards are now available for organizations who are dedicated to environmental protection through energy efficiency. To be considered for an award, an organization must demonstrate outstanding leadership in and significant contributions to the fight against global warming through energy efficiency. Recognition is available in Energy Management, Program Delivery, or Service and Product Providers. Applications are due by December 4th, 2009. CoolCalifornia.org is the new one-stop-shop for all Californians – packed with quick, easy-to-use and reliable tools that all Californians need to save money and reduce their impact on the climate. It aims to provide all Californians with the tools they need to take action to protect the climate and keep California cool. Currently, the program is in the midst of an awards program for small businesses who are dedicated to climate action. Look at their local government section.